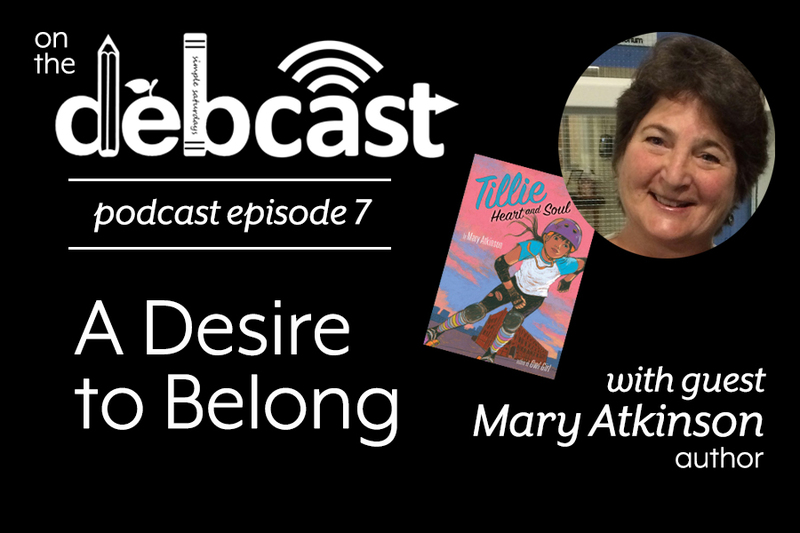 In this episode, Deb and Mary discuss the connection her protagonist Tillie has with her sport, her family and friends, and her inner desire to belong. They explore how the sport of skating serves to empower Tillie to eventually become accept her authentic nature, as well as to embrace life on life’s terms. Mary Atkinson is the author of the award-winning TILLIE HEART AND SOUL (Best of Kirkus Indie 2017, Moonbeam Golden Award Pre-Teen Fiction 2018). She is also the author of OWL GIRL and MARIO’S NOTEBOOK. Her poetry has appeared in magazines and anthologies and her fiction and non-fiction have been published widely in educational markets. She holds an MFA in Writing for Children and Young Adults from Vermont College. She lives in Maine where she enjoys walking her dog, Maisie, in the woods and by the sea. She does not know how to roller skate.